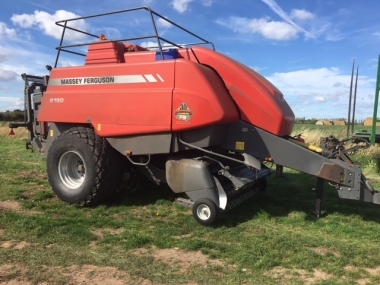 Massey Ferguson industry leading range of Heston big square balers range includes the MF2240 (800 x 700mm), MF2250 (800 x 900mm), MF2260 (1200 x 700mm), MF2270 & MF2270 XD (1200 x 900mm) and MF2290 (1200 x 1300mm). 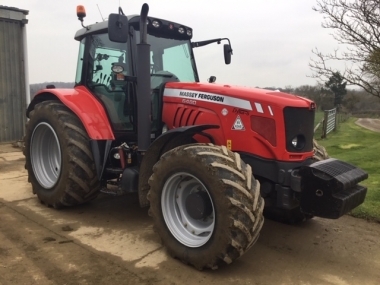 With proven reliability and high output the Massey Ferguson balers are market leaders in all crops, hay, silage and straw. The MF 2200 Series inherits the superior design of it's predecessor, the MF 2100 Series and includes additional features to further enhance performance. These square balers make dense, well-formed bales, and are renowned for their reliability, longevity and low cost of ownership. 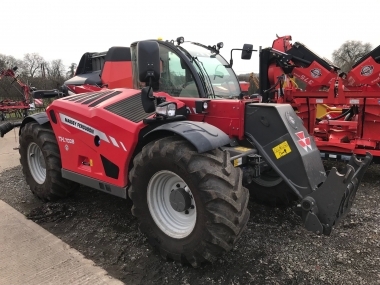 The high quality, easy-to-read colour screen couldn’t be clearer, whatever time of the day or night, and the baler itself is fully ISO-compliant so it can be used on any tractor with an ISO VT terminal. Massive capacity, industry leading bale density and superb shape all stem from the award winning pre-compression chamber design. Only when the chamber is perfectly full will the trip door activate and the stuffer fork powers the fully formed flake into the bale chamber. Driven by an enormous gearbox with massive strength, the plunger is connected via two heavy duty connecting rods. Contained in these are load cells that measure the load on the plunger face. Information from the load cells is used to control the automatic density control system and also provides the operator with driving arrow guides if uneven swaths are encountered. The bale chamber on the MF 2200 Series is engineered to produce bales with perfect shape and incredible density. Its design will give massive strength and year after year of reliability. The MF 2270 XD and the MF 2290 baler feature the new OptiForm bale chamber, which ensures ‘Optimal Formation’ of the bale on these high capacity and high density models. 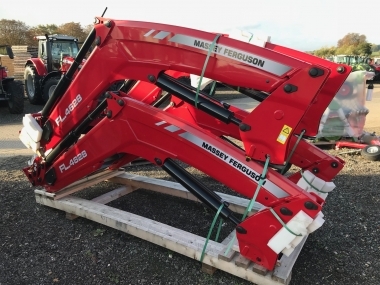 The doors on these two models are significantly longer than the previous models and have a refined profile which improves bale compression, ensuring even better bale shape and consistent density throughout the bale. Double acting density rams apply pressure to both the side and top chamber doors to give consistent bale density all controlled automatically via the C1000 Baler Monitor. If you need a machine that produces bales of the highest density, then this is the machine for you. The MF 2270 XD has immense capabilities and easily produces between 15% and 20% more material per bale. 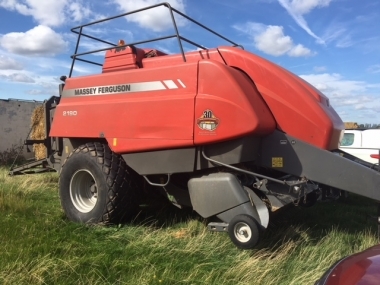 * The Massey Ferguson 2270 XD, Extra Density, large square baler packs between 15% - 20% more material into bales. 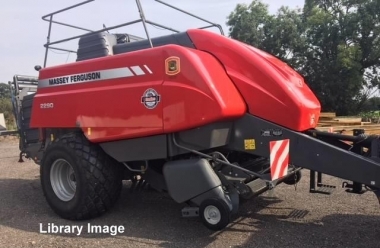 ** Designed specifically to lower transport costs with 1.2m x 0.90m bales, this machine produces much denser and heavier bales, further helping to optimise transport space and cut costs. Five models come with a choice of single or tandem axle and either hydraulic or optional pneumatically actuated brakes. ProCut chops the crop to your required length and the packer tines ensure high capacity crop transition into the pre-compression chamber. The packer system ensures consistent flake formation producing perfect bale shape regardless of windrow shape and density. The MF 2240 & MF 2250 have a cutter with 17 knives, whilst the MF 2260, MF 2270 and MF 2270 XD all have 26 knives. The knives are arranged in two banks which can be simply engaged and disengaged from the cab using the C1000 monitor and spool valve. All knives engaged gives a chop length of 43.5mm and with a single knife-bank engaged 87mm. Each bank of knives is protected by hydraulic accumulators that provide a very responsive safety system should a foreign object enter the cutting area. Available on the MF 2240 & MF 2250, the ‘Packer Cutter’ combines excellent cutting capabilities with high output and lower power consumption. The Packer Cutter features a three stage packer to actively pull the crop across six stationary knives located in the floor of the packer chamber. 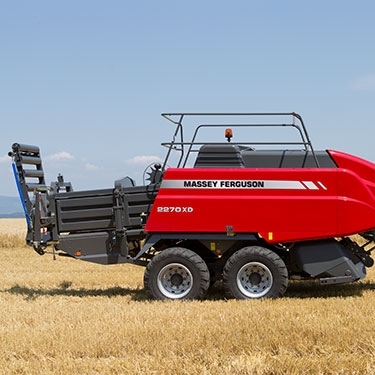 One of the most impressive features on any MF 2200 Series model is the pick-up. The sheer volume of crop that each of these machines can consume has to be seen to be believed. 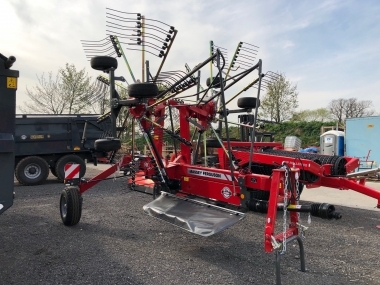 And even though the pick-up capacity is great, the windguard with the roller crop press ensures it is still gentle on the crop. 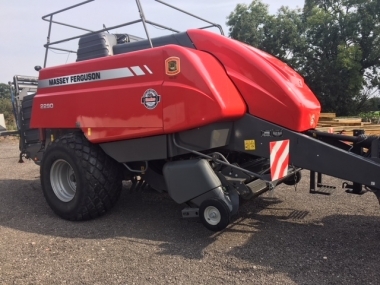 MF 2200 balers are AgCommand-ready, for easy installation of this telemetry option, which collects and transmits data relating to the machine’s location, settings and performance. 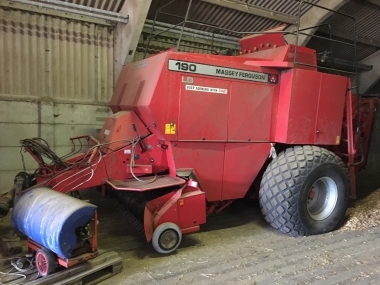 Information about the baling operation is stored by a data logger on the machine, which is connected to a GPS antenna and GSM telephone module. 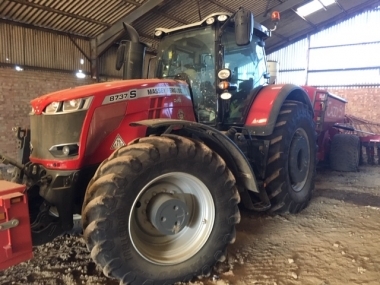 This data, with position information, is then transmitted to a secure AGCO server, where owners and operators can view the information through a password protected webpage. The system automatically transfers data while you work, to deliver valuable ‘fleet management’ information. AgCommand Advanced collects a huge amount of information from the CANBUS to provide greater depth and detailed machine analysis. This is information is quickly and easily collated into a very beneficial ‘Field Summary Report’- this shows the field and crop details, bale count along with the number of flakes/bale. The Integrated Bale Weighing System weighs the bale as it exits the chamber onto the roller bale chute. The baler is pre wired in readiness for a video camera and the C1000 baler monitor is full colour and video compatible. buy every original 2200 Big Square Balers part online.